The Carbon War Room, a non-profit founded by Richard Branson, has devised a new consortium to unlock billions of dollars in private investment for commercial building retrofits. Currently, small and medium sized commercial buildings are faced with a number of barriers if they hope to secure financing for green retrofits. Often times, upfront costs are too high, and private and public institutions are unable to offer suitable financing terms. However, by rethinking an existing financial model known as PACE, The Carbon War Room is able to offer deals to small and medium sized commercial establishments for zero-upfront-cost green retrofits. Furthermore, none of the deals rely on government involvement or public subsidies. In a nutshell, the PACE Commercial Consortium (PPC) offers a centralized system which provides financing, the building retrofit, and deal insurance. This is all paid for through PACE legislation, which allows property owners to accept a voluntary tax assessment to repay the upfront financing. As the projects are completed, the loans, which in effect carry a 7% interest rate due to the tax assessments, are then marketed by Barclays and sold in the form of bonds. Although the arrangement appears complicated, “the economics are sound, engineering performance is insured, the security is strong, and clean energy capital assets are profitable,” said Brian McCarthy, CEO of Energi Insurance Services. What do you think of the new Carbon War Room led consortium? 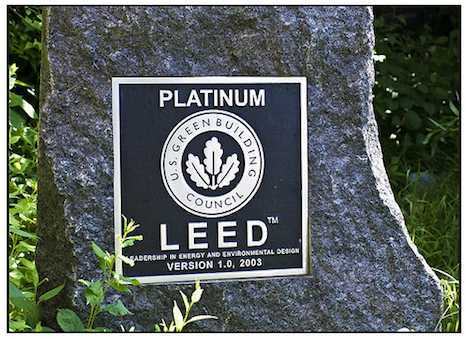 To what extent do you think it will encourage widespread green building retrofits?